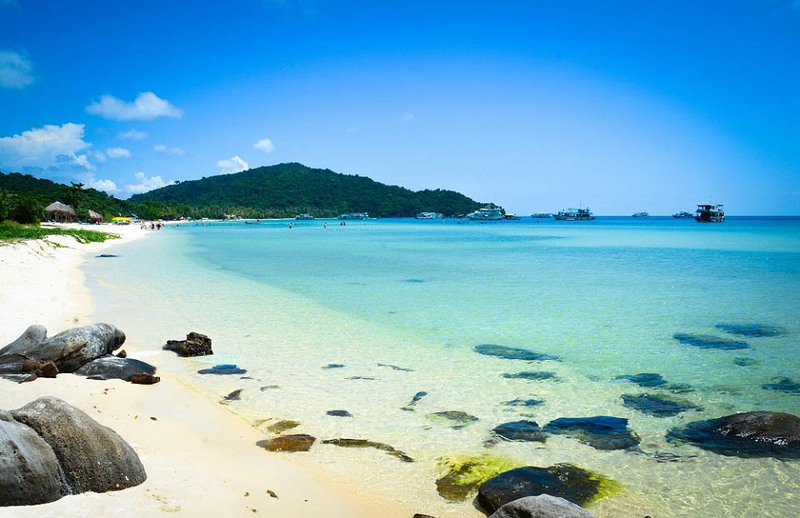 Unlike the famous beaches in Phu Quoc, Ong Lang beach is beyond the flow of life, wild and peaceful. Although not as beautiful as the Sao Beach, Khem beach, not crowding and bustling as Truong Beach but Ong Lang has a very different charm that attract many foreign visitors. What to do and to eat here? Check the guide below right now! 1. How to get to Ong Lang Beach? 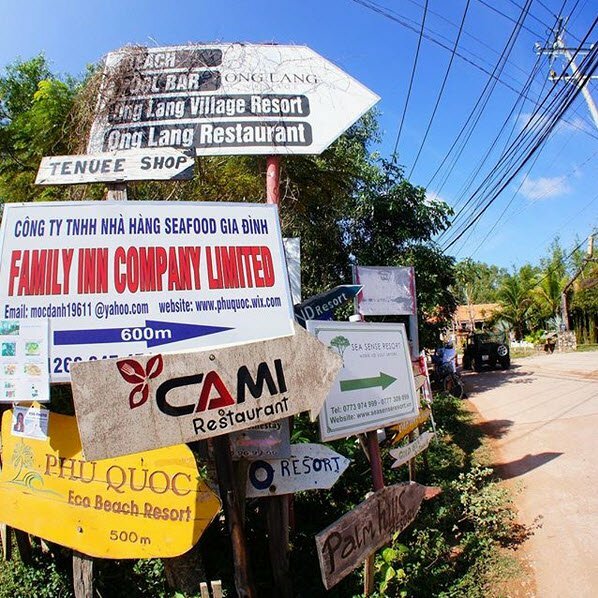 After arriving in Phu Quoc, from the city center, go straight on Duong Dong – Cua Can road to the north of the island about 4.5km, there is a post showing direction to a resort. Keep going ahead about 1km, you will reach Ong Lang Beach. If you use Google Maps, search the way to Dinh Ba, Ong Lang. There are two roads to Ong Lang. One is from Dinh Ba and one is from Eco Beach Resort. 2. What to do in Ong Lang Beach? Ong Lang Beach has so many beautiful natural scenes. It is also one of the ideal spots to see the sunset in Phu Quoc. However, don’t forget to join exciting activities here or you will regret. This beach is very clean, blue and calm. So, rocks here are the home to many species of fish, snails and corals. You can go swimming and diving to see the coral as well. 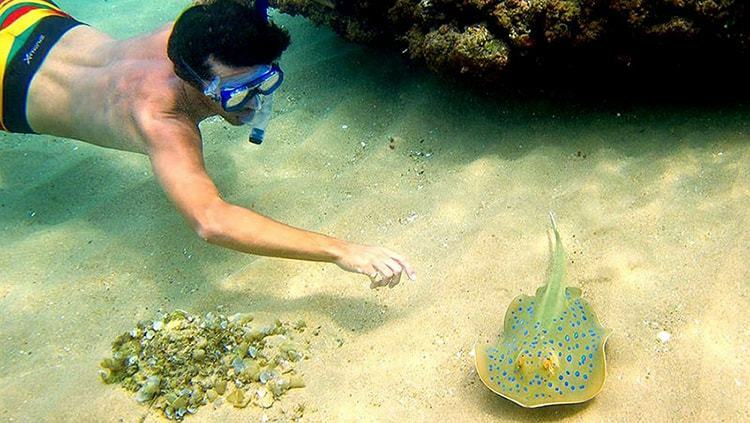 Restaurants in this area offer diving suits and swimming goggles renting services. If you do not bring along such things, you can rent them at any nearby restaurant. Besides, if you are interested in fishing in the islands, please contact the hotel or resort nearby for more information. 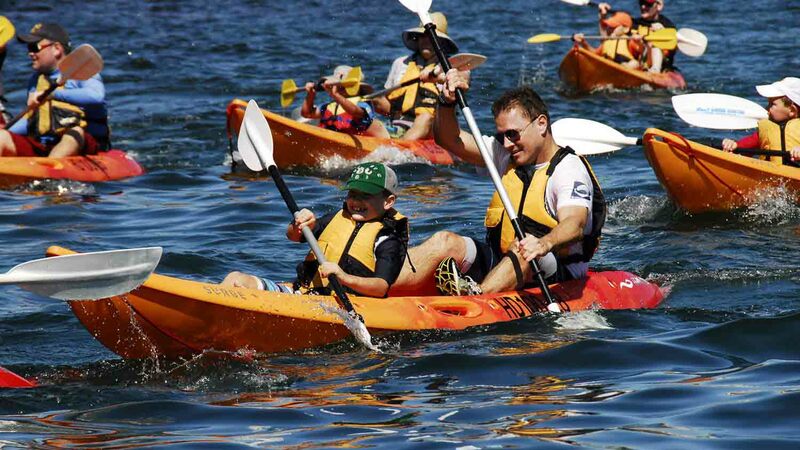 Moreover, you can rent a kayak to riding around the beach or sail to Cua Can River. This will be an unforgettable and amazing experience for you and your travel buddy. Along the beach, there has many green lawns stretching to hundreds of meters with trees and cool shades. So, it is very suitable for having a picnic with family and friends. 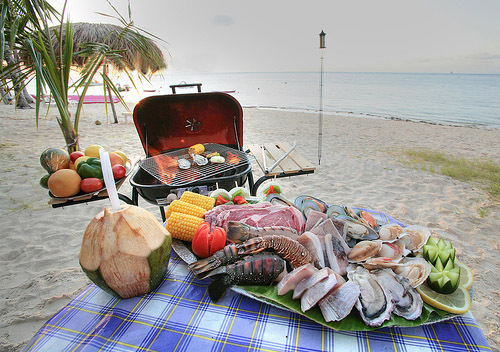 You can buy meat and seafood from Duong Dong Market, go to the beach rent coal stove or oven to hold a BBQ and seafood party. In addition, the sandy beach here is quite wide. 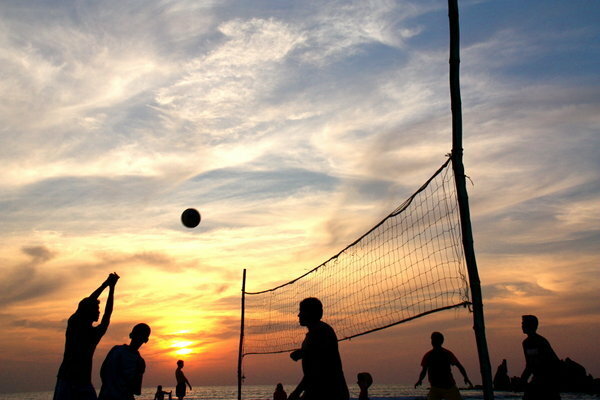 You can also play some beach games such as volleyball or football. 3. Where to eat on Ong Lang Beach? 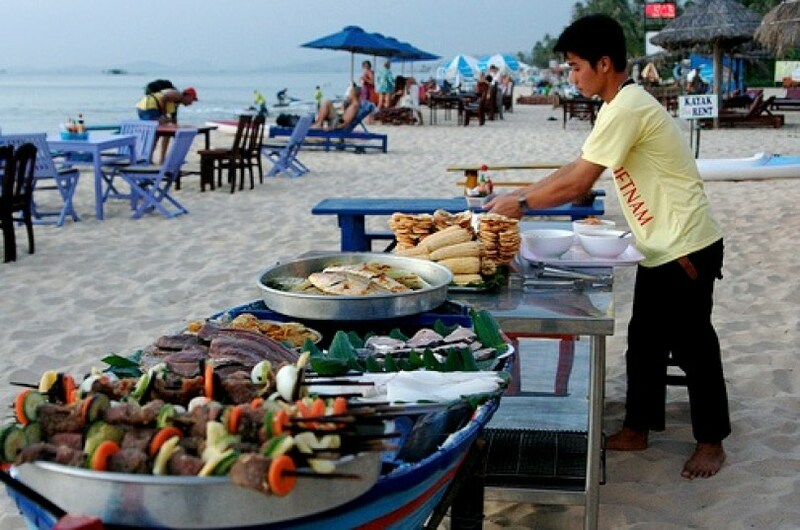 Down to way to the beach and near Ong Lang beach, there are many eateries, restaurants for you to choose. You can easily find a suitable one to eat. Besides, the resorts and hotels here also have their own restaurants and bars with beautiful views. 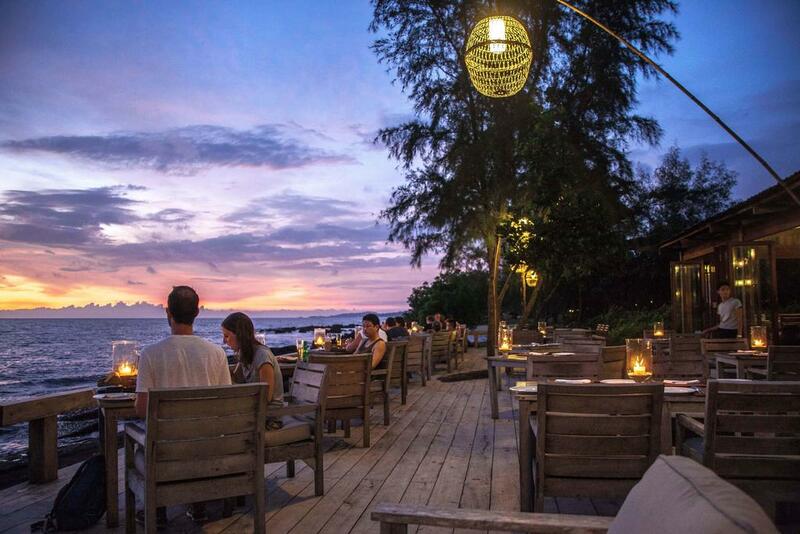 Taking a seat with sea view and enjoying cocktails or drinks while gazing at the sunset are things that you must try when coming to Ong Lang. If you want to try the local food at some restaurants, here are the suggestions for you. 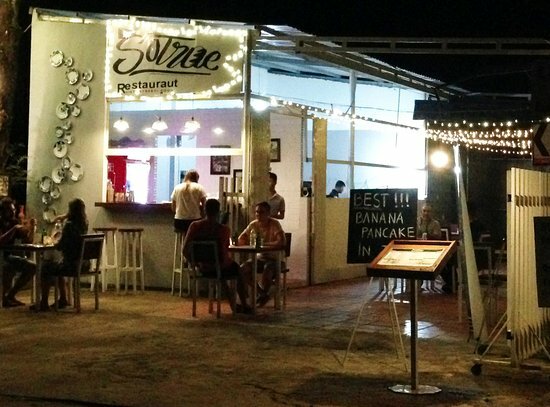 This is an open-air restaurant specializing in Vietnamese and vegetarian dishes using the unique ingredients of Phu Quoc. 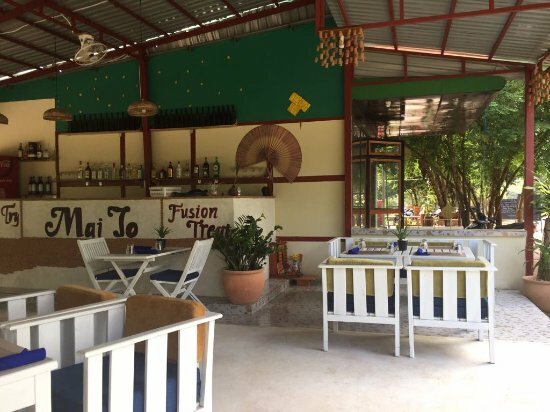 Especially, the restaurant also serves wine, cocktails and Phu Quoc fresh beer. The food and drink of this restaurant is inspired by both classic and modern recipes. Food is displayed on wooden plates made of tamarind trees in Phu Quoc. The restaurant mainly serves seafood cooked with spices and herbs that are delicious and healthy. Restaurant space is designed in a modern style and includes outdoor seating. This restaurant belongs to Mango Bay Resort. It has a very strategic location with the front view is the beach. The restaurant serves both Western and Vietnamese dishes for guests to choose. In addition, the resort and restaurant are at two separate areas. So, if you do not stay in this Resort, you can still enjoy delicious meal here. This entry was tagged beach, fishing, kayaking, ong lang beach, Phu Quoc, scuba diving, Travel guide, vietnam. Bookmark the permalink.